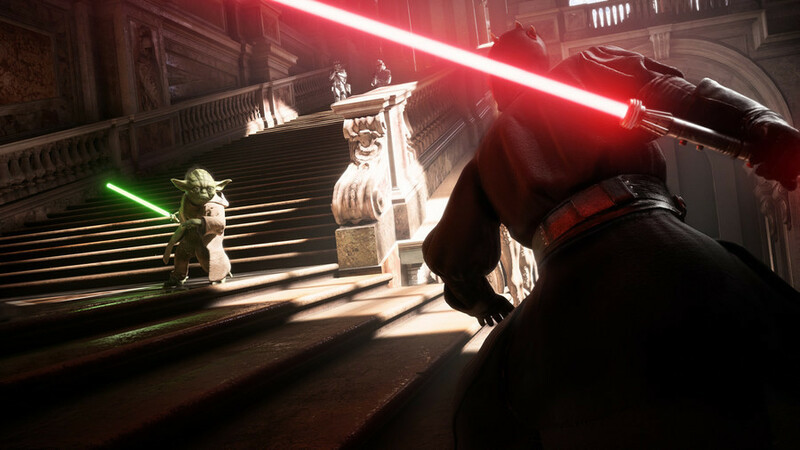 Star Wars Battlefront 2 will be much more ambitious than its first installment, and next to the highly demanded story mode will include much more content than Star Wars Battlefront for its multiplayer section. The new maps and heroes will cover all ages of the Star Wars universe, and we will be able to enjoy all its modes of play and future additions of content without any cost or previous payment of season pass. The first edition of Star Wars Battlefront lacked offline content and wave-based skirmishes for battles. But in this edition, you can take the role of Iden Versio, the leader of Inferno Squad, an elite special forces unit of the Galactic Empire. You can witness the destruction of the second Death Star, with the story focusing on the introduction of the First Order. Also, it brings together all three eras of Star Wars – the prequel, original and sequel trilogies – in one package. Big news! Star Wars: Battlefront 2 will have a fully-fledged single-player campaign. Massive space battles are also on the cards with Star Wars Battlefront 2. Space battles are be falling. 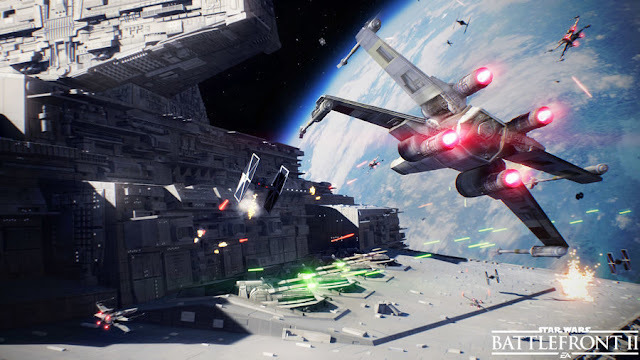 Criterion – famously known for the Burnout series – is managing the vehicle side of things this time, and you’ll soon be “weaving within asteroid fields and flying through Imperial dockyards in high-stakes dog fights” says EA. Last but not least, Playable heroes return in Star Wars: Battlefront 2. Star Wars Battlefront 2 is scheduled to release on November 17 for PC (Origin), Xbox One and PlayStation 4, and will be available in both physical and digital format. EA Access and Origin Access users will be able to play a 10-hour trial beginning November 9, and if you reserve the Elite Trooper Deluxe edition, you will have early access from Nov. 14. Do you want to try Star Wars Battlefront 2 before? The details of the public beta, the beta starts on 4 October for those who pre-order the game, contrarily, it’s open to all from 6 October until 9 October. So we only have to wait to see more news about the title soon.